This online course is designed for law students and international lawyers who want to improve their knowledge of the English legal system. This course may also be useful as a revision guide to university students who are studying a law degree, students studying the CILEX and students studying the 'Graduate Diploma in Law' (GDL) and need support with the English legal System. Upon successful completion of the English legal system module students will be awarded with 'the English Legal System - Certificate'. 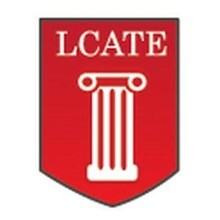 Yasmine is the founder of the 'London Centre for Advanced Training & Education' (LCATE), an educational establishment which provides legal Education to students all over the world. You've successfully shared The English Legal System Certificate Online. An error occurred while sharing The English Legal System Certificate Online. Please try again.